I have heard through the rumor mill that there are many companies that are waiting 6, 9, 12, and up to 18 months for TEMA type heat exchangers. Not our customers! Precision has built hundreds upon hundreds of TEMA Type heat exchangers for various processing plants through the years. There are certainly tricks to building good quality heat exchangers (we believe our are as good or better than industry leaders) but all in all they are not too difficult to build. Because there is nothing secret to the sauce, I cannot say I understand why a project manager or engineering firm would be willing to wait that long for a heat exchanger. Precision Pipe has provided dozens HTRI designed, ASME certified, TEMA type heat exchangers to a variety of installations this year alone. We keep hearing a common theme when we receive new purchase orders, “how does Precision Pipe build these so quickly”? Really I’m not sure why it takes other’s so long, but I guess our advantage is that we are a custom fabrication shop with ASME Code stamps. This means we don’t sell all of our capacity on a particular engineered product. 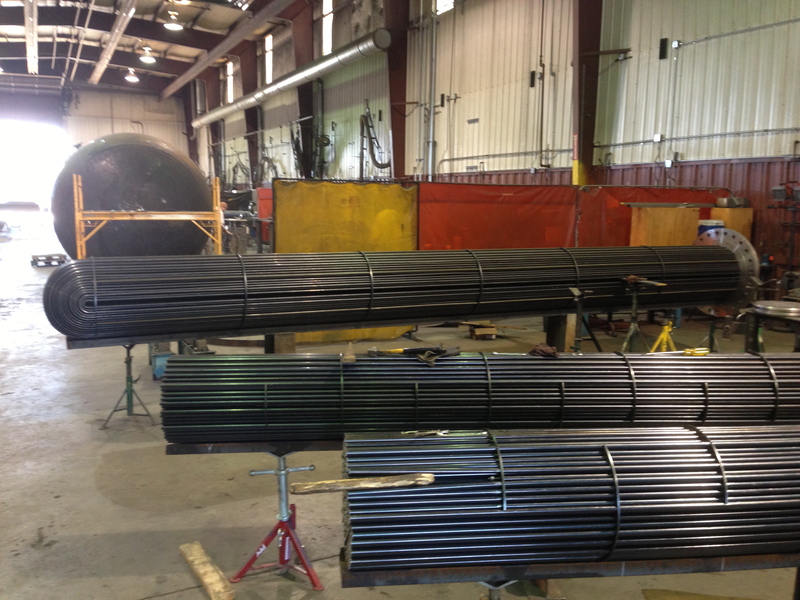 Rather, we respond to the needs of our clients by building vessels, components, complete turn key skid packages, tanks, and TEMA type heat exchangers. We do have a few tricks we have learned since we built our first exchangers in the 1970’s but it isn’t anything magical… just a few tricks of the trade. If you need high quality engineered Heat Exchangers don’t stand in line months upon months waiting. Don’t believe for one second that you need a shop that only builds exchangers for a high quality product. Shop around and see if you can find a shop that is eager to earn your business and can provide you with the same quality or better, HTRI designed, ASME certified, TEMA type heat exchanger(s). Our turn around time is measured in weeks not months!